روبرتا ماتوسون, المعروفة باسم المواهب Maximizer® لعملها مع الشركات للحصول على أكثر من مواهبهم, will bring her flair for leadership and talent development to the main stage of Brandon Hall Group’s annual HCM Excellence Conference on Thursday, فبراير. 1. You might know her work if you follow Monstor.com, فوربس, Fast Company or if you’re active on LinkedIn you have probably seen her articles on pulse, LinkedIn learning, where she has 6 courses that are on fire, or at the time of this blog posting at the national LinkedIn connect conference. I learned about her in 2011 after the release of her first book in 2011 and subsequent work since then. She hit bestseller status for the book, Suddenly in Charge: Managing Up, Managing Down, Succeeding All Around عودة في 2011, and in September 2017 released the second addition. You can see me posing with this book, it is literally two books in one and one of the coolest book designs I have ever seen. 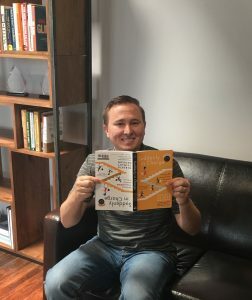 This new manager guide starts with how to manage upward and then you flip it over and learn how to manage down. 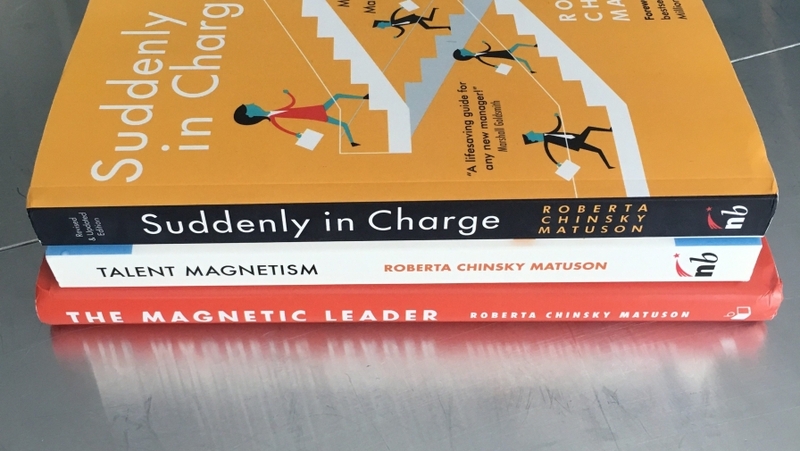 This book stemmed from Roberta becoming a CHRO at the age of 24, which I felt that I could relate to as I had my first 360 assessment conducted at the age of 20, and like most people it was a wake-up call. Her second book, Talent Magnetism, is about how a company can build a workplace that attracts and keeps the best talent. Earlier this year she released her third book, The Magnetic Leader: How Irresistible Leaders Attract Employees, الزبائن, and Profits because after all the talk about creating a magnetic culture it always comes back to leadership. ال Magnetic Leader is the book that we are going to be giving away at the conference and allot time for a book signing. Trust me, as an executive, you want this book. All of her books are great, and her work spans the HCM space that we represent, which is why for Brandon Hall Group she is the perfect match for our مؤتمر. I hope you join us January 31 - شهر فبراير 2 in Palm Beach Florida. Roberta will keynote on Thursday morning (فبراير. 1) before sitting down with مايك كوك, our CEO at Brandon Hall Group, and talk about some of her experiences.